The increasing popularity of solar power is shown by the number of households and businesses installing solar energy systems on their houses and buildings. If you are one of those thinking about using this clean energy source, below are some of the pros and cons of installing solar panels on your Chicago roofing. Using solar energy does not contribute to air and noise pollution. It has no moving parts and does not emit noise. It also decreases our need for non-renewable sources of energy. While emissions are noted from the manufacture of a solar power system, they are negligible compared to those produced by conventional power sources. Solar energy is everywhere on our planet. The earth’s surface is bombarded with solar radiation that is more than enough power to supply our entire world. It is available throughout the world and not only to countries located near the equator. Sustainable means that we cannot over-consume the power source in our generation as to affect the needs of future generations. Solar energy is not only abundant but renewable and sustainable too. Solar power is derived from the sun, which is expected to be around for billions of years. Solar energy is, therefore, a renewable source of power because its source will never run out. Non-renewable energy sources include coal and fossil fuels. 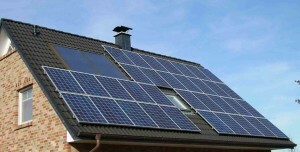 Installing solar panels can save you money from electric bills. Homeowners experience sharp reduction of their monthly power bills when using solar energy. Depending on the location of your home, your savings could reach up to hundreds of dollars per month. 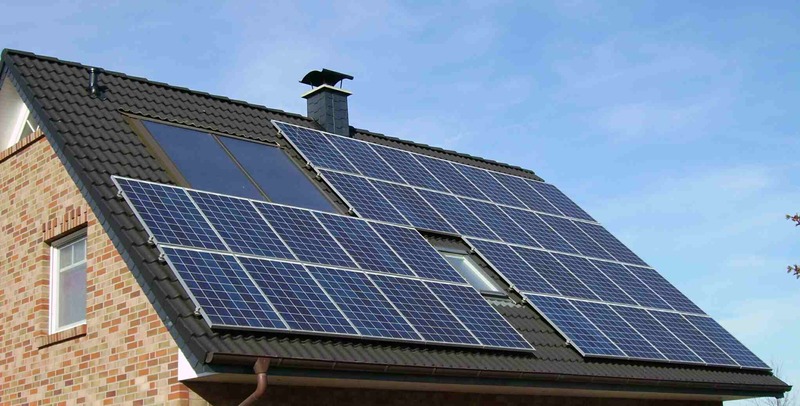 Expense is a primary consideration of homeowners thinking about solar power. You have to buy upfront the solar panels and pay for their installation, which is not cheap. The higher your energy requirement, the more solar panels you will need. Power density refers to the amount of power that can be generated in a specific real estate of energy source. Low power density means the power source requires too much real estate to produce energy at reasonable price. Solar power has a higher power density than other renewable energy sources but has significantly less than gas and oil. Batteries present an ideal solution to the non-availability of the sun to power solar panels twenty-four hours a day. However, energy storage is relatively costly as well, which adds to your expense in using solar energy. The source of solar energy is not available at all times. The sun cannot power the solar panels at night and provide limited energy during bad weather. There are places that have limited exposure to sunlight for several months in a year. Christmas is just around the corner with the chilly nights delightfully reminding us that we have to start preparing for the coming Winter Holidays. A wonderfully-decorated home brings joy not only to its occupants but also to passersby and onlookers. 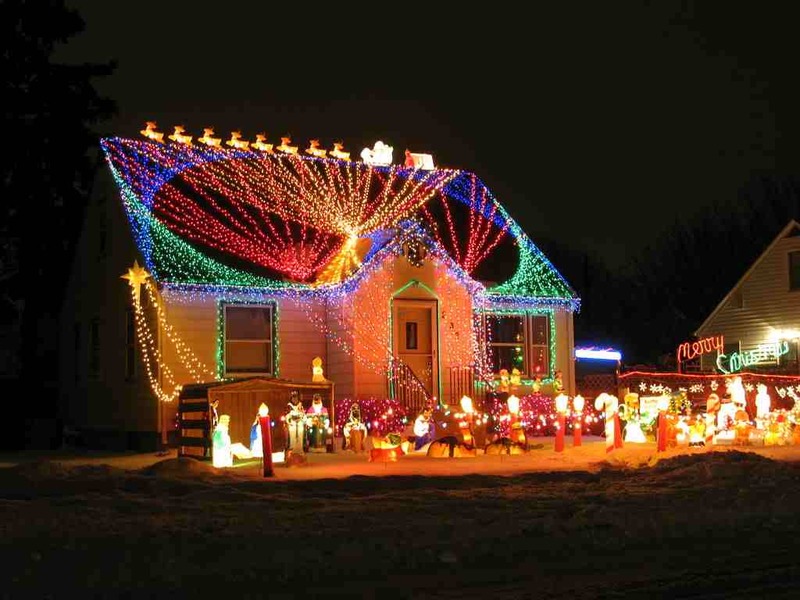 A standard C7 or C9 Christmas bulb strands can do wonders to your roof. 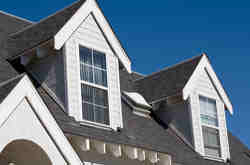 They are placed on the portion where your roof meets the gutter, called the fascia. Use gutter clips to install the lights on the fascia. The clips are waterproof and could therefore be left on the roof even when it rains or snows. A spacing from 1 to 2 feet between clips is ideal. A circular opening found on each clip is where the lights are placed. To spice up your Christmas decoration on the roof, you can use icicle lights that come in different colors such as white, yellow, red, green and blue. Unlike the traditional light bulb strands, icicle lights incorporate a drop-down strand every few inches for that icicle effect. An encapsulated icicle-shaped strand of lights that hang down the gutter every few inches add wonder to your roof decoration. Other than the traditional Christmas light strands, inflatable decorations are one the most popular outside decorations during the Holidays. With a wide variety of inflatables to choose from, you are sure to pick those that are perfect for your roof. When the inflatables do not come with ready-made accessories for roof decorations, you can always improvise that would enable you to fasten them on the roof without fuss. Sandbags. Depending on the type of your roof, sandbags may be used to anchor inflatables to your roof. Just strap them on sandbags weighing around 50 pounds and the inflatables will stay in place. To hide the sandbags, you can paint them to match the colors of the inflatables or your roof. You can also tie the inflatables to sandbags located on the ground. This method is recommended if your roof is pitched, and sandbags placed there could slide off the roof. Frames. For pitched roofs where sandbags have the tendency to slide to the ground because of the roof angle, try installing a frame on the roof to keep the inflatables in place. The frame acts as anchor for the inflatables, which will then stay up on the roof. Attics normally function as an extra living room or bedroom. They also often serve as storage area to keep our collectibles, souvenirs, old pictures and just about everything that is valuable to us. Attic windows are normally installed on attics and serve three basic purposes – ventilation, lighting and aesthetic appeal. Different attic window types are available, including rose windows, top-hinged windows and skylights. One of the most popular attic window type are the skylights because they allow more natural light to penetrate into the room compared to other window types. During the winter months, they heat up attic space by funneling the sun’s heat inside. Rose windows are circular in shape decorated with stained glass. Top-hinged windows are also popular because they provide not only natural lighting and ventilation but access outside the roof in case of emergencies. Whichever type of window you have installed on your attic, time comes when you have to clean and service them to keep them in optimal condition. Below are the safe ways to clean your attic windows. Use a window cleaner with an extension pole to reach high window panes. Products designed for cleaning high windows are available, including a telescopic window washer. It comes equipped with squeegee, microfiber and telescopic handle that stretch your reach to clean those hard-to-reach areas. Clean water is generally sufficient to clean window panes. Soft water is very good for cleaning windows. Non-abrasive ordinary household cleaners may also be used. Use a soft, lint-free cloth, chamois, non-abrasive sponge or leather and window squeegee. Avoid touching the silicon part of the window assembly to prevent damaging it. Avoid using abrasive cleaning products that could damage the pane. Sharp objects, including pieces of jewelry should not come in contact with the pane. Avoid using chemical products for the window pane. Never forcibly wipe off dirt from the pane without first using water to clean it off. If you are cleaning a roof surface near the attic window, be sure to cover the window pane with protective plastic or similar materials to prevent damage from abrasive materials. Remove leaves and other debris from the flashing to ensure the free flow of water. Remove snow and ice that settled on the pane to allow water to drain off the window. Replacing old windows do not come cheap. Unlike buying single unit improvements at home, you have to multiply the cost of each window by the number of windows you have in the house. Before replacing existing windows, check first the condition of the window frames. 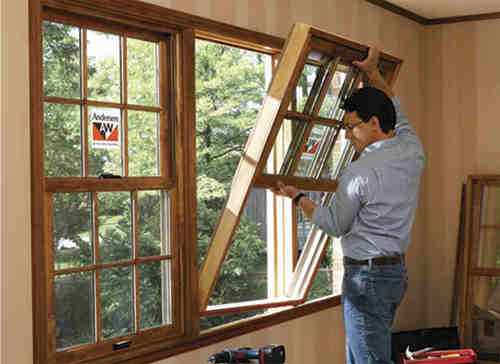 If they are still sound and in good condition, then you can install replacement windows. However, if the frames are already rotten or out of shape, you have to replace them before installing new windows. The cost could increase up to 50% to 100%. Remember that installing multiple windows at once will cost you less per window than installing just one window. Check out the websites of large windows manufacturers to help you decide the best cost of window replacement for your home. They will help you identify the architectural style of your home and the window styles that suit it. Contractor-grade windows are priced lower than architectural grade ones. If you want to save money, get the contractor grade types. Look for different sellers and never confine yourself to buying products offered by one authorized dealer. The store usually carries only one brand, which considerably limits your choices for other brands with cheaper prices. Windows bought off-the-shelf cost less than windows customized to your needs such as upgrades, custom sizes, non-standard colors and glass types and hardware. If you do not need those extra features, then do not buy windows with these add-ons. They shoot up the price for things that you might not really need in the first place. Well-known and big-name brands carry higher prices. You can buy the same type of windows at lower prices if you opt for lesser-known brand names. Use common-styled windows such as fixed, sliders and double hung. They are cheap compared to stylish windows with circles, curves or hexagons. Vinyl windows are widely available and by far the cheapest type there is. Fiberglass costs more than vinyl but is priced lower than wood windows. If the design of your house can accommodate vinyl windows, consider buying this instead of insisting on wood windows that are not only more expensive but may not harmonize with the overall design of your house. There is always room for price negotiation. Never accept the first price quotation given by sellers. Always ask for discounts and make counter-offers of at least 20% less than the selling price. There are a lot of sellers and dealers willing to negotiate for the right price. A gasket offers protection of equipment from harsh environmental effects such as dirt, heat, rain and ice by creating a positive seal between two originally unattached surfaces. To function properly, a gasket must be able to perform different jobs. Its primary function is to seal the space between two surfaces to prevent leaks of oil, fluids or gas and contamination of dirt. 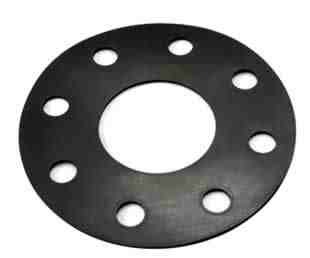 This is referred to as the gasket’s Ingress Protection (IP) rating. Another purpose of a gasket is to fill irregularities between attached parts that are not perfectly fitted with each other, thereby presenting a tighter fit. The degree of protection that gaskets provide depend to a large extent on the materials used in creating gaskets. Some of the most common materials used in manufacturing gaskets include neoprene, silicone, urethane and ethylene propylene diene monomer or EPDM. Each type of gasket has its own strengths and weaknesses against different environmental conditions and chemicals to which they are exposed to. For instance, polyurethane is considered a good general-purpose material for gaskets because it has a significantly low compression set while an EPDM gasket works best in protecting against the most common industrial chemicals. The IP rating of a gasket depends on the properties of the gasket, which in turn are determined largely by the materials used in creating the gasket. In terms of physical properties and chemical comparison, EPDM gaskets perform well for its purpose. EPDM gasket is made from synthetic elastomer rubber that delivers exceptional performance. Because of its outstanding qualities, EPDM gaskets have far-ranging applications, including appliance hose, belts, electrical insulation, washers, radiators, speakers and roofing membrane. Wide temperature range. It maintains stability at high temperatures and cold climate. Its remains effective through temperature range of -50°C to 150°C. Water proof. It is unaffected by cold and hot water. Resistant. EPDM is resistant to ageing, oxidation, ultraviolet light, ozone, ordinary diluted acids and alkalis. Color-Stable. It does not stain PVC window frames. Good Fit. Low compression set and good fit on the assembly. Compression set refers to the resulting deformation of a gasket after the application of force and its removal. If you are looking for an EPDM gasket, bear in mind the desirable qualities mentioned above. The best EPDM gasket should have all these qualities and more. It must possess both physical and chemical resistance as well as the ideal compression set. The use of asbestos in roof repair and construction started way back in the 1800s. Several characteristics of asbestos made its use prevalent in manufacturing such as heat resistant, durable, fire-proof and flexible. Because of these features, asbestos was found in almost every product when possible. The extensive use of asbestos in construction started during the industrial revolution. Most of the asbestos mined then were used for construction materials. The fire-retardant quality of asbestos made it very popular among manufacturers such that it was found in almost all construction products, including roofing materials. 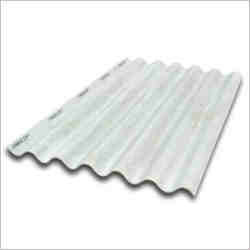 The use of asbestos for roofing started in the 1920s until the 1980s. Nearly 80% of materials used on structures built before 1981 contained asbestos. Asbestos is found in roofs, floors, furnaces, appliances, windows caulking and plumbing. Identifying the presence of asbestos is difficult by physical appearance alone. The best way is to have samples tested by a laboratory. Roofing materials with asbestos contents, such as asbestos cement roofing, had a life expectancy of 30 to 50 years. Since roofs are required to be fire-resistant and insulated from heat, asbestos was incorporated into roofing products. Unfortunately, asbestos was subsequently found to have harmful effects in the health of those exposed to it. In early 1900s, a rise in cases of respiratory diseases was noted from people living in towns associated with asbestos mining. In the 1940s, the disease mesothelioma was formally associated with asbestos exposure. Mesothelioma is an illness almost exclusively caused by exposure to asbestos. Lung cancer is another illness also caused by asbestos exposure. According to the World Health Organization (WHO), direct occupational exposure to asbestos is the primary cause of asbestos-related illnesses, which number around 107,000 workers annually. Indirect or secondhand exposures are responsible too. The victims are families of workers who unintentionally brought asbestos home. The WHO reports that the mortality rate from asbestos poisoning is around 43,000 annually. Workers in at least 75 different jobs in the US were exposed to asbestos. According to the National Institute for Occupational Safety and Health, workers in the construction industry were hardest hit. Latency period is around 10 to 50 years between exposure and manifestation of mesothelioma. In the US alone, 3,000 cases of mesothelioma are recorded every year. Australia, Japan and Western Europe combined produce 10,000 cases annually. In 1977, the Consumer Product Safety Commission (CPSC) banned specific products with asbestos. In 1989, the Environmental Protection Agency (EPA) banned most products containing asbestos. Unfortunately, the Court of Appeals in New Orleans reversed the EPA ruling in 1991. Because of the negative publicity associated with asbestos, manufacturers looked for suitable alternatives for the harmful product. The most common are polyurethane silica fabric, cellulose fiber, flour fibers and thermoset plastic flour. Green roofs are gaining popularity among businesses and homeowners because of the benefits they impart to the environment and solution they present to conventional roof problems. A common issue with green roofs, however, is pest infestation. A green roof attracts animals because they provide their three basic needs, which are food, water and shelter. Understand that there are different types of pests that could infest your roofs. The most common are mosquitoes (attracted to a stagnant pool of water), insects (spiders, ants, wasps and hornets), cockroaches (which may include beetles and earwigs), and termites (less common). Pest infestation poses three distinct problems that must be acknowledged if you are to provide a solution. The first is the structural issues they present. Rats and mice could make their way down and inside the structure by gnawing on roof parts, wiring, irrigation system and other sensitive components. The second is the potential for pests to spread out. Your business operations could be severely impacted by the unexpected presence of pests. The third is the unavoidable outcome of pests scaring occupants. You have to be proactive in dealing with pest infestation. Watch for normal signs of pest presence such as droppings, footprints, plant damage, burrowing and nests. People frequenting the roofs could also be a reliable source of information. You can adopt the inspection method that you already use for ground vegetation to your green roofs. Frequency of inspection depends on the size of the roof – a small area could be inspected once a month while a large roof should be examined every two weeks. The best way to deal with pest infestation is through an integrated pest management (IPM). This system focuses more on prevention rather than reaction and employs low-impact measures to solve the problem. Instead of prioritizing the use of pesticides and other harmful chemicals, IPM tries to control pests by using anti-roosting devices, traps, sealing cracks and similar methods. It involves selecting the right types of plants for your area to minimize attraction of local pests, inspecting soil before they are used, maintaining the correct volume of mulch and awareness of overwatering that leads to water pooling. Denver’s climate can be very erratic. It can get very hot in summer and too cold in winter. These contrasting extremes can put roofing in Denver to its toll. Thus, it is important to plan carefully when choosing a roofing in the area. You should also ensure that the laborers you hired are really knowledgeable in roof installation. 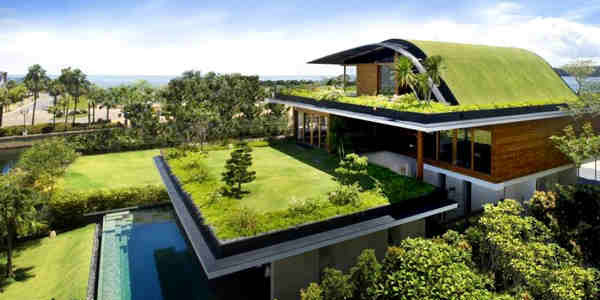 There is a new trend going around in terms of this subject though, that is the use of green roofs. According to sources, this is sweeping Chicago and Portland like a storm. What makes it very ideal for dwelling places is it serves as a filter, insulation, and protection to the roof. This is also a great alternative for health-conscious homeowners and for those who truly care for the environment. A green roof is particularly handy during seasons where the heat can be unbearable. The vegetation in the roof will help absorb some of the hot temperature. It produces a heat island effect. This will, of course, trickle down to the structure below to the benefit of the members of the household. The green lush in your roof also function as a water trap. It effectively absorbs rain water, together with all its impurities. Then when the sun is scorching, it helps shelter the roof from immediate decay. Studies say that it will increase the life of a roof three times over. Aside from protection from harsh weather, a green roof shields the health of homeowners by filtering the contaminants present in the air. Research has shown that a green roof can effectively take in 95% of the heavy metals in the atmosphere. A green roof helps promote a healthy ecosystem. It attracts birds, bees and butterflies. This could be a negative thing though because it can be a magnet for other insects and critters. However, this is something that a regular maintenance can address. Lastly, a green roof contributes to the aesthetics of a home. This aids in increasing the overall appeal as well the value of a house. Much like every good thing in this world, a green roof has some disadvantages to the homeowner. In addition to being an insect magnet, it does require regular maintenance, it is costly to install, and it presents difficulty in servicing the roof when needed.